Auto accidents can cause a variety of injuries for those involved in the accident, including anything from whiplash, headaches, and neck injuries. 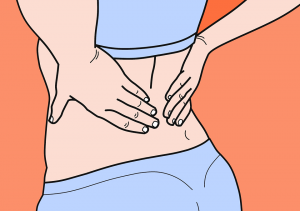 However, one injury that is often forgotten following an auto accident are lower back injuries. A large number of people involved in auto accidents report back pain following the accident and they often don’t understand what happened during the accident to cause this pain. The main cause of the back pain that auto accident victims suffer from results from the difference in shape between the human body’s natural spine shape and the shape of most car seats. During the accident, if the shape of your car seat does not match the shape of your spine, the violent acceleration and deceleration of the accident can cause the spine to move more than the rest of the body. This excess movement during the accident can stretch or tear ligaments causing inflammation, scar tissue, nerve injury, and in rare cases, permanent damage. A study published by the American Journal of Physical Medicine & Rehabilitation in 2002 confirmed the idea of lower back injuries occurring during auto accidents. The study used a cadaver to test the extent of low back injuries in a rear-end collision at various levels of impact. The conclusion reached in the study was that while it was unlikely for damage to the bones of the spine to occur, it was much more likely for there to be damage to soft-tissue such as ligaments. As is the case with any type of injury to the spine, a good first visit for an injury like this would be to a chiropractor. As a doctor whose main specialty is treating the spine, no other doctor will be as qualified to treat this type of injury or as experienced in treating injuries identical or at least very similar to the injuries suffered during auto accidents. A chiropractor will be able to diagnose the specific injury and set up a treatment plan to get the auto accident victim on the road to recovery. Depending on the injury, the treatment plan may consist of spinal manipulation, various kinds of modalities, massage therapy, and exercise therapy, all of which can be performed in any of our three locations. If you or someone you know is suffering from lower back pain following an auto accident, give Advanced Chiropractic & Rehab a call today at (330) 726-7404 to schedule a free consultation to see how we can help. We have been servicing the Youngstown and Mahoning Valley area since 2001 with convenient locations in Boardman, Hubbard, and Kinsman. At Advanced Chiropractic & Rehab, we are a multi-disciplinary rehabilitation group that treats work comp injuries, whiplash, sports injuries and specializes in much more than just lower back pain.